In recent weeks a lot has been said and written about potential pain medication abuse. Lawmakers and policy makers with their own agendas have unfairly painted legitimate patients in need of chronic pain relief as if they are all addicts. This has happened as a result of the one-side public debate around Zohydro ER, an FDA-approved prescription hydrocodone medication developed specifically for the estimated 2.4 million Americans with unrelenting pain who cannot tolerate acetaminophen, an ingredient found in all other hydrocodone products and many other pain relievers and sleep aids. This treatment is no more powerful than others already on the market. Unfortunately, much of what has been written and said is inaccurate and the facts have been lost. As a consequence, the voices of those suffering with pain have not been heard. 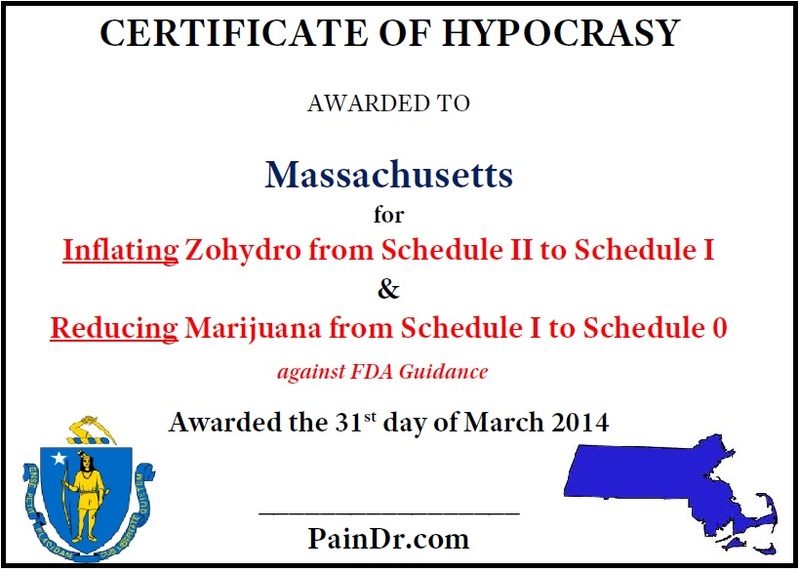 Massachusetts’ recent ban on Zohydro® by Governor Deval Patrick (aka Dr. D. Patrick), labeling it as a Schedule I drug in opposition to the FDA’s classification as a Schedule II is particularly hypocritical since this category includes drugs with no medical use. Patrick’s MA Controlled Substance Registrants are prohibited from prescribing, stocking or dispensing Zohydro. [See Prohibition of prescribing and dispensing of any hydrocodone bitartrate product in hydrocodone-only extended-release formulation]. If one is to believe that hydrocodone and morphine are mg for mg equivalent, it begs the question of why “Dr. Patrick” allows morphine extended release products or perhaps even more dangerous, the generic non-abuse deterrent form of oxymorphone ER. Ironically though , Massachusetts is a state that allows marijuana use which is opposed by the federal government. Because of this, I approached Commander John Burke to comment on these issues from the perspective of law enforcement. Aside from his many accolades and current positions (detailed below), he is Commander, Greater Warren County, Ohio, Drug Task Force and President, Pharmaceutical Diversion Education, Inc. Recently, the state of Massachusetts governor declared through an emergency order, that single entity hydrocodone products could not be sold in his state. This eliminated Zohydro® and any specialty compounding of the drug for patients. This of course is long after the FDA approved the extended release analgesic as a Schedule II controlled substance. A few days before, an Ohio legislator introduced a statute to change the drug to a Schedule I in my home state, a category that as indicated above means “no medical use”. All of this was done without a single dose of Zohydro® being sold or diverted! This is an incredibly slippery slope when government decides that they will ignore the FDA, body that has been appointed to decide what medications are safe, effective, and have value to an identified group patients. With the abuse of opioid medications in the 15%-20% range, 80-85% of legitimate patients are denied this choice in these states. Why not eliminate hydrocodone sales altogether, and while they are at it, remove oxycodone IR 30mg tablets that are being abused nationwide in part as a fallout from the reformulation of OxyContin? Of course all of this is absurd in my opinion, and you have to wonder who, if any, healthcare professionals were consulted before moving forward with these actions. Scare tactics and the “sky is falling” type rhetoric helped to drive these decisions. In addition, news reports of the endless junkies this new drug will cause are simply unfounded. More likely, from my experience, those that will end up abusing Zohydro® are those that are already addicted to an opiate or abusing it. Other hydrocodone, oxycodone, oxymorphone, hydromorphone, morphine, or of course, heroin addicts would be the most likely abusers of an extended release hydrocodone single entity drug. However, if you listen to some critics, this drug will bring addicts out of the woodwork! Apparently we have a whole host of “would be” opiate addicts that have been waiting for the day an extended release, single entity hydrocodone hits the market so that they can start their life of misery and ultimate death. If you believe that, I have a very long bridge in Brooklyn to sell you! I don’t believe anyone thinks the FDA is perfect. However, they are the federal body that determines the safety and efficacy of drugs in our country, and by and large does a good job. I don’t want politicians deciding that a drug the FDA approved for pain patients (or any patients) in this country is deemed too dangerous to distribute to the public, especially when it was launched less than a month ago and no diversion has yet been reported. The FDA continues to stand strong that marijuana is not for legal consumption (with the exception of prescription Marinol®, aka dronabinol), regardless of the actions by several states to either make it a legitimate medicine or allow recreational use. Although I certainly don’t oppose the FDA approved use of THC products that are deemed effective for medicinal use, I would like to see the current U.S. Attorney enforce the laws on the sale and possession of marijuana. If the FDA would decide to approve marijuana in any of its abuseable forms and declare it a legitimate pharmaceutical, then it should be dispensed only out of legitimate pharmacies by a registered pharmacist. Somehow marijuana legalization entities are not excited about that prospect. The bottom line is that the primary focus of health professionals and law enforcement should be the protection of legitimate patients and their access to bona fide pain medications. Every time a prescriber or dispenser of pharmaceuticals is deceived by a drug-seeker, it can potentially have a negative impact on the legitimate patient. Therefore, I continue to propose an aggressive pursuit of those involved in pharmaceutical diversion while the prescribers for legitimate pain patients are given all of the legal tools in their toolbox to address the issues of pain. Taking that option away from prescribers will not reduce the number of addicts in this country, but it may negatively impact pain patients. Commander Burke has been a law enforcement officer for over 45 years. He spent 32 years with the Cincinnati Police Department, working in uniform patrol until he was promoted to detective. He then spent several years investigating homicides, rapes, and child sexual assaults and abuses. He was promoted to the rank of sergeant and was ultimately assigned to the Internal Investigations Section. In 1990, he was asked to form and institute the department’s Pharmaceutical Diversion Squad (PDS). After retiring from the Cincinnati Police Department, Commander Burke accepted a new position late in 1999, and continues as the head of the Greater Warren County Drug Task Force in southwest Ohio. The drug task force investigates the illegal distribution of both licit and illicit drugs. In 2004, he became the commander for the Southern Ohio High Intensity Drug Traffic Area (HIDTA) for major drug case initiatives and interdiction. Commander Burke has provided education and lectured across the United States to law enforcement and health professionals on the topic of prescription drug abuse. He has published numerous articles on the topic, and has written a monthly column for the past 10 years in Pharmacy Times magazine on pharmaceutical diversion. 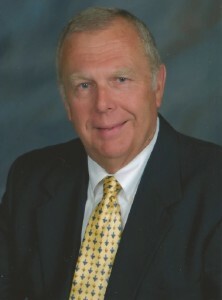 He is the president of the National Association of Drug Diversion Investigators a non-profit organization, and is the owner and president of Pharmaceutical Diversion Education Inc., a company which provides education and consulting work on a wide variety of prescription drug abuse issues to law enforcement, health professionals, and the pharmaceutical industry. DISCLOSURES: Commander John Burke serves on the Safe Use External Advisory Board for Zogenix, the maker of Zohydro®. He was put on the board to assist in providing Zogenix with a third party law enforcement liaison to help postulate risks in an attempt to mitigate diversion of Zohydro®. This is all good stuff but someone needs to fight for patient’s rights.Ky has passed many new laws and Dr’s have stopped writing pain meds altogether.Pain clinics are overrun with desperate and literally scared patients that need meds,not hassles.I personally got kicked out of my clinic for missing a pill count.I have a time share in Florida and was on vacation.Ii guess if you have chronic pain, your not allowed to go any where,especially out of state.Some body needs to step up and do something.Where are all the attorneys on this?What happened to the hypocritical oath that all Dr’s take?I guess it don’t mean sh?t any more.What about the ACLU?This is a civil rights subject that goes back years.WE NEED HELP!All I can say is that. USA is not the home of the free or brave.We have heroin dealers on just about every street corner,that is unless you make 6 figures and live in a gated community.As you can tell,I’m pissed off about the whole thing because of the ignorance of a bunch of politicians that know nothing about living with chronic pain.We have to do something but it might be too late. I’ve merely read the first 2 postings here. Thank you to the commentators here for your eloquence. I am a retired gentleman. I always paid boatloads of taxes for our esteemed politicians’ salaries and extravagant benefits. There is a tabloid sensationalist frenzied hysteria where politician self-appoint as doctors. Example: Gov. Baker, Opposite party from his predecessor, Gov. Patrick, is just as bad. Recent statement: “There are too many prescriptions being written for pain medication.” When the hell did Governor become Surgeon General? Why should I, a sufferer from a ruptured lumbar disc, L4/5, have to CONTINUE to be subjected to FURTHER BURDENS in obtaining the only medicine that separates me from a bedridden life? I tried ALL OTHER modalities of treatment; facet steropid injections, microwave needles, enough ibuprofen to nearly lose my gut from Gastroesophageal Reflux Disease, even mind – rotting muscle relaxers.. I receive a very tiny, inadequate regimen of low-dose oxycodone for my intractable debilitating pain. If I want to minimally maintain my home and major life activities like laundry, etc. I have to slightly increase my dose on a day when I plan to achieve work, paying the price of severely reduced activity the next. When I ask my provider for a slight increase in meds, my provider indicates that political intimidation and scrutiny inhibit this. Mike Gideon is right, someone IN AUTHORITY needs to speak up for the suffering. The reason most patients can’t is simple: The publicity will bring unwanted attention to our own PCPs and make them want to cut us off completely. The chilling effect is already harming millions. Doctors often make a “no opioids” policy practice-wide. They don’t want the hassle and the snooping into their business. I tried to go to a for-profit pain clinic. I was drug tested instantly, apparently passed. But the 26 contract line items are intolerable. YES, Mike G., you surrender your right to travel and virtually ALL other rights under these “clinic contracts”. You surrender, if not physically, the USE of your passport, and it’s not a question of if, but when, you’ll be more than the required 4 hours away on call to the office for counts and random drug tests. Further, the contracts state the sky’s the limit in their profit gouging: If you have any insurance coverage for “routine? : drug testing, the clinic reserves the right to UNLIMITED drug testing above and beyond health insurance coverage, and the patient agrees to financial responsibility for this burden. We already have the burden of “no electronic prescribing” or refills. Additionally, only a non-renewable 30-day supply is allowed for chronic sufferers like me, the expiration of which requires a needless burden of driving the car through blizzards or anything else to pick up a paper hard copy of the renewal prescription, then another needless drive to a drug store whereas every other medication is available for 90 days’ supply; not just 30. I am a RESPONSIBLE patient who has NOTHING TO DO WITH the teenagers who rob granny’s medicine cabinet illegally.. Those dying of overdose are illegally taking too much. We chronic pain patients bear NO blame and deserve NO restrictions, any more than a 40 miles-per-hour driver deserves blame for the carnage caused by those who drive 120. Please, politicians, someone who knows of pain, give us a process to be treated as responsible unless proven otherwise. Innocent until proven guilty! Stop micromanagement of doctors and pretending you’re one! If you listen to most politicians and yellow journalists, you’d think drug companies marketed pain meds to create a social problem. The products are marketed to help manage and address a problem issue: intractable pain! I wish all the single-minded prohibitionists among the bandwagon politicians could experience such debilitating pain, and then experience difficulty or impossibility in obtaining the ONLY medications that easily and safely manage such pain for them. Thank you for writing your opinion here. As I read it, tears rolled down my face. I am not sure if I got so emotional because I felt I could have written every paragraph (with the exception of “gentleman” of course lol – since I am female Age 57 FORCED TO UNEMPLOYMENT BECAUSE OF AN ACCIDENT REQUIRING LUMBAR SPINAL FUSION ON THREE LEVELS). My outcome wasn’t what I hoped for and even did more damage as it fused my sacro-iliac nerve in with the bones! I had to go on LTD which Thank God I had purchased from my company’s benefit offerings (or so I thought). When I went in for surgery in December, 2012, I had a retirement plan, 401K, Stocks, drove a Lexus and purchased a $200,000 home that was in a great neighboorhood. Both my children were out of the house attending college & I had been divorced for nine years. I played golf, coached softball/baseball, bowled, etc. Now Because of ERISA, I LOST EVERYTHING I WORKED 40 years to acquire. Why? Because of the law protecting BAD FAITH LTD BENEFIT PROVIDER’S INTERESTS & MAKING THEIR OWN RULES. I HAD 4 seperate occassions that Prudential, without cause (ANY CAUSE, OTHER THAN THEIR PROFIT MARGIN), STOPPED PAYING ME A PERCENTAGE OF MY SALARY & PAID ME ZERO! I had to submit a FORMAL APPEAL THEN ENDURE THEIR PROCESSES & TIME TO MAKE A DECISION BEFORE I WOULD RECEIVE ANOTHER PENNY! WELL, I HAD 4 for in a 42 month period & WON EVERY ONE! Problem? 28 months of ZERO INCOME IN A 42 month period CAUSED MY FINANCIAL RUIN AND NOW I AM LEFT HOMELESS, HURT TOO BAD TO FIGHT ANYMORE FOR HOUSING RIGHTS & PRUDENTIAL????? NO IMPACT & I CAN’T LEGALLY SUE THEM, ERISA LAW FORBIDS IT! Spoken by someone ,I’m sure, That does not suffer Chronic Pain. I just wished those who wrote this, could walk or live a week in our shoes. Yes there are those who abuse drugs..thats true. There are prisons for people who break the law too, why do we all get treated like criminals. This is a sad day. God Bless all who agree with this. I wish you all nothing but great health. Making all patients do pill counts in office every week would cut down on the abusers, Not punishing the ones who really need it to have some sort of normal life outside of pain for a little while. I agree with Concerned’s lament of the demonization of Zohydro, but must add that single-ingredient opioid pain relievers are already available in the form of oxycodone and extended-release morphine. I have been taking both for over 6 years and as a result live a fairly normal life, despite the claims of PROP stalwarts like Jane Ballantyne, MD, that people like me do not exist. 4. people who got hurt on the job and will become permanent takers/moochers unless they get what they believe to be adequate pain relief and return to work. Only group 4 needs to be given serious attention, according to Gounder. Doctors who refuse to treat most narcotics requesters with the contempt they deserve are themselves contributing to the “pain-pill epidemic.” That’s right, Gounder refers to the pills themselves as a disease of which there is an epidemic. What a demonstration of how successful PROP has been in changing the English language itself to promote its goals. I realize that this article is old news, but I’m generally at least 6 months behind the curves I’m part of. Please forgive. I was hoping this was an April Fools Day joke. Instead it is a very sad day for chronic pain sufferers. You got that right Dr. Murphy…my Twitter @JeffreyFudin has been supercharged over this post all day! amazing. this makes about as much sense as doctors writing the laws for lawyers. we have an FDA that’s supposed to regulate medication. Now, all of a sudden, lawyer with no concept of medicine, medication or pain will decide how the FDA “SHOULD”VE” classified a medication. Why don’t we dissolve the FDA and let govenor and politicians put their finger in the air and decide which schedule a substance should be in. Politicians have decided that Marijuana “SHOULDN”T” be schedule Iand should be schedule II, and Zohydro “SHOULD BE SCHEDULE I and shouldn’t be schedule II. If you listen to the politicians, when you remove the acetaminophen from hydrocodone, it goes from a schedule III to a schedule I narcotic. it’s too bad that the FDA isn’t as smart as politicians. I wonder which medical school the politicians graduated from. Again I stress, I guided both of my sons to become lawyers rather than doctors, this proves my point. As long as lawyers write the laws for doctors and doctors don’t write the laws for lawyers, you’re better off on TOP of the food chain, not below. One son practices health law in Ct. I have a good friend that lives in Massachusetts that has to travel to another state to get treated for his severe chronic pain of 18 years. So it doesn’t surprise me that Massachusetts would block the sales of Zohydro ER. The whole idea behind Zohydro ER was to remove the acetaminophen. All other hydrocodone products contain as much as 650 mgs of acetaminophen in one pill ,like that of Lorcet. That much acetaminophen can destroy a persons liver over time. Zohydro ER will be a life saver for those that can only take hydrocodone for their chronic pain because they no longer have to put acetaminophen in their body and destroy their liver. Imagine if you can having chronic pain in your body that never stops . Maybe its your cervical spine or thoracic spine ,and you’ve done everything you know to do to alleviate the pain to no avail. You went to doctors that injected your painful areas with different medications like epidural steroid injections that did no good. Imagine having this ongoing pain that never goes away and becomes chronic in nature. Now imagine the only thing that works is opioid based medications and you cant get them prescribed to you even though its your last option to keep from suffering day after day. A lot of you know what I mean and there’s the group of people that cant imagine this because its beyond their comprehension . I don’t wish chronic pain upon anyone but this constant attack on new pain medications has gotten out of control. The only way to stop a epidemic is to move forward. 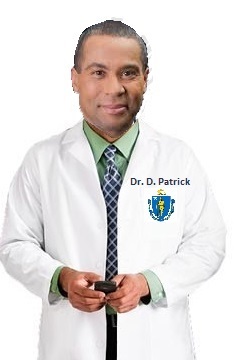 Stalling things like stopping the sales of Zohydro in your state Governor Deval Patrick doesn’t help at all it does more harm. But I understand the way some people think, they don’t like change of any kind. This type thinking stalls an attempt to mitigate diversion of Zohydro and all opioid medications so the U.S. can move forward out of this opioid epidemic . This epidemic was not caused by chronic pain sufferers ,its caused by the diversion of these medications and the lure of easy money. We as a Nation can stop this epidemic but it takes everyone working together , divided as a whole things fall apart. Finally a real look at medical need. So much misinformation only hurts legitimate patient suffering. Responsible patients should not be penalized for the inappropriate use by those who abuse, divert or misuse medicine. Zohydro 10 mg is equal to Vicodin 10 mg but media only seems to mention the 50 mg dosage creating mass fear. This new pain med is in no way the most potent available. It is the only single ingredient pain med available WITHOUT acetaminophen and offers a viable alternative to millions. From the liver foundation, over 30 million have liver disease and should not take acetaminophen. How many of these folks could benefit? That does not count those with kidney disease and allergies to ibuprofen, acetaminophen and aspirin, found in ALL other pain meds that are far more abused and easier to prescribe, Vicodin, Norco, etc – none are tamper resistant according to an FDA. statement Oxy is the only tamper resistant opioid formulation approved to date. There is a NEED for this single ingredient pain medicine without acetaminophen. This is a slippery slope and the motive attached to the demonization of this med should be researched. It is concerning that the recent flare up of attention was brought about by a Senate Bill introduced by Senator Manchin. There is no mention of a possible conflict of interest in he has received large campaign contributions from a major competitor Mylan Pharm. whom his daughter just happens to be CEO and a maker of generic forms of hydrocodone pain medicine-also not tamper resistant and already widely abused. It is a sad day when corrupt politics and addicts take precedent over legitimate patient needs Thank you for shedding some reasonable light on this issue and expressing concern for patient need, whom the medical industry should have paramount concern FIRST. Politics should never enter the Doctors office and dictate what is best for patients in suffering as they certainly do not have all the facts. Excellent article! Pharmaceuticals should never be politicized, but evaluated on their own merits for the target patients that could benefit. The argument that addicts could get Zohydro is hollow and irrelevant. If they can’t get Zohydro, they will get something else instead. Besides, if our country were really serious about reducing addiction, we would provide free treatment on demand for those who want it.